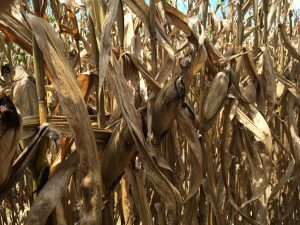 DISEASES of PEANUT: White mold and leaf spot aren’t breaking lose in every peanut field in Georgia, but we are having near-perfect conditions for the development, spread, and sometimes explosion of these diseases. Stay on a good fungicide program, tightening spray intervals where disease is becoming problematic and/or where there is concern if the crops have received enough drying time after a fungicide was applied. 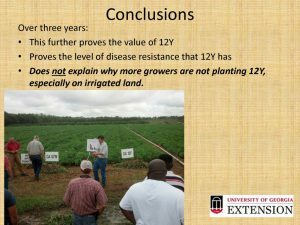 While it’s too late now to change anything about variety, it is a good time to point out again how disease resistant 12Y is. Here are a few slides from a presentation I gave on my peanut research at the APRES meeting. 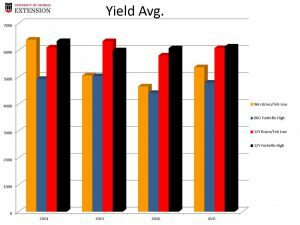 If you have a chance to plant 12Y on irrigated land next year, do it. I’ve made over 5,500 lbs. per acre without spraying a single fungicide. Also, guess which main variety is being used for organic peanut production? Yes, it’s 12Y and there’s a reason. Stemphylium leaf spot is present as well. Stemphylium leaf spot is caused by a deficiency in potassium in the plant. 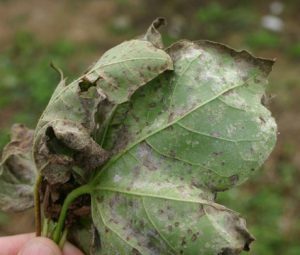 Fungicides ARE NOT a solution for Stemphylium leaf spot. Foliar application of potassium may be needed in some cases. 5-10 lbs/K2O in two applications during the first thru 4th week of bloom should be considered in these situations. 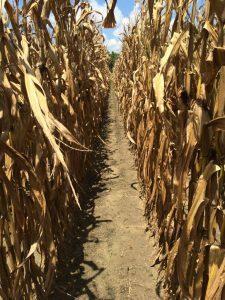 Though we can control areaolate mildew, does it make us any more yield than if we didn’t control it? When conditions are favorable, areolate mildew can rapidly defoliate a cotton crop. If a grower is within 3-to-4 weeks of defoliating anyway, I would NOT use a fungicide. 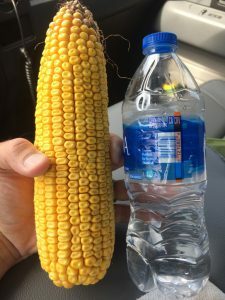 If the crop still had 4 or more weeks to go, I would consider weather, yield potential, how much disease is in the field and then decide to spray or not. 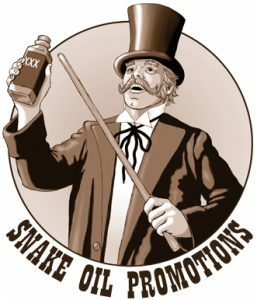 There are some boron fertilizers currently being sold in Georgia that are labeled and recommended at application rates well below the 0.5 lb B/A rate. Some of these products are $50 to $100 per gallon with only 5% or less boron and are recommended at 5 to 10 oz. per acre. Simple math proves you will not get the needed level of boron with that product. Besides, the normal 10% product is $10 per gallon and actually does provide the necessary level of boron. That should be an easy choice on which product to use. As far as fulfilling the base recommendation for B, any boron fertilizer recommended at a rate that does not provide at least 0.25 lb B/a is not economical. 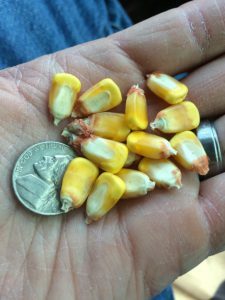 I’ve enjoyed doing more research work with corn this year. 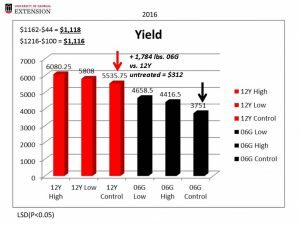 What’s the secret to high yield corn? It’s not really a secret. 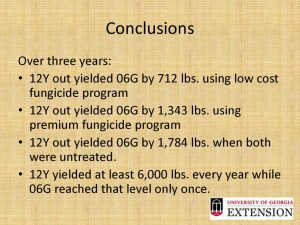 Follow UGA Extension recommendations. Posted in Cotton, Field Corn, Peanuts. Bookmark the permalink.